Home » Groups » Welcome and General » blogs » Marianne Davies » Developing Skill Part 2. Information, autonomy and playing in the ‘ugly zone’. A fresh look at the information we need to become skilful; the role of instructions, demonstrations and feedback. 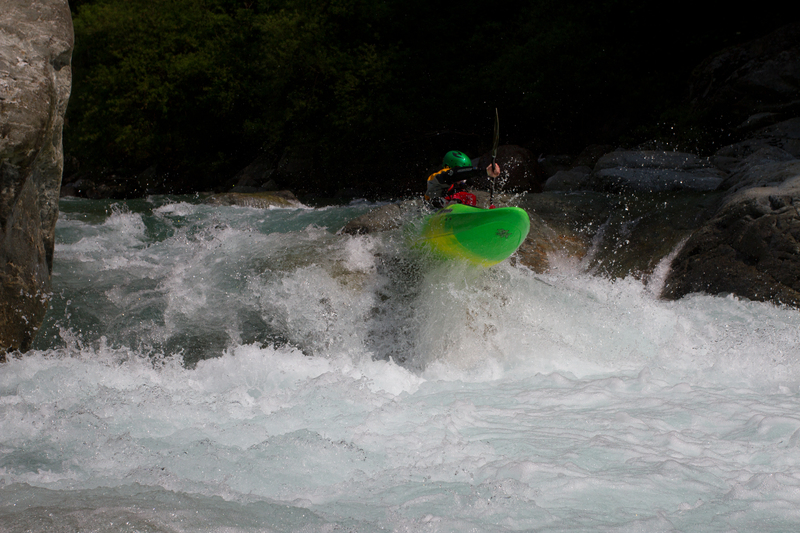 Dan Wilkinson nailing a boof on the Soana River, Val Aosta. Photo by Richard Watson. Like many parents, I owe so much of my learning to my son; Sam. The sheer intensity of my passion and love for him, and the resulting attention I paid to him and his experiences have taught me a lot. Watching him learning and exploring adventure sports was both terrifying and exhilarating. I tried to stop myself telling him to ‘be careful’ and I revelled in our shared experiences and his sheer joy and ability, despite him becoming more proficient than me at everything except horse riding, by the time he was just 18 years old. Adventure sports are a precious experience that we still share, and I am fortunate to be writing this article at the end of an awesome skiing holiday with him. Sam quit kayaking at the age of eight after going to just one organized club session. He had hated it. He started again after a fortuitous conversation with some of the Bangor University canoe club members, ten years later. He was instantly hooked and within a matter of months was paddling harder than I ever could, and not just at canoe polo. During this time he was super keen to be out as much as possible and I tried to find places that I could go with him. On one of these early trips, I took him to the local dam release river Canolfan Tryweryn (CT). The great thing about CT was that I could walk along the bank and watch him. After some time at the easy upper sections, I wandered down to the café to wait for him. Sitting outside, latte in hand, I watched the constant stream of kayakers stop and play on the ‘café wave’. I watched them nonchalantly. They were like small groups of ants, seething over the edge and into the eddies, most of them following the same patterns on the wave each time as they dropped over it, or stopped and played, before disappearing down-river. I recognised the distinct pattern of Sam’s paddle movements and was instantly focused. Sam flew over the lip of the wave and skidded into the eddy on the café side. With a big grin, he said a quick ‘hi mum’ and got into the queue for playing on the wave. Sam had never paddled the Tryweryn before and was still very green, but he had already developed a solid white water roll, even in his second-hand rickety old play-boat. When it was his turn to have a play on the wave he paddled hard into it, got spat off the edge and flipped over. After what seemed like too many attempts, he rolled up on the edge of the next drop. From where he rolled up he was unable to cross the river again and had to wait his turn from the eddy on the other side of the café wave. The other kayakers did the same thing as the groups before them. Dropped in at the same place, followed the same patterns on the wave (mostly) and dropped off again. Sam’s next turn produced the same result as his first. He looked up at me enquiringly, I signalled to him to watch and pointed towards the place at the top of the wave that the other paddlers were using to get onto it. He moved further back in the eddy and found a good place to observe from. After watching more of the other paddlers, with different abilities and different boats, all using similar parts of the wave, he asked one of them to confirm his observations and tried again. This time he got onto the wave but dropped off again pretty quickly. After more watching and more experimenting he started getting a reasonable amount of success. His paddling become smoother and his grin got bigger, and he joined in the banter of the group that was there. I finished my latte and mused about how quickly he was learning and how confident he was. I thought about how much he was able to experiment because he trusted his white water roll so much. And how in contrast, on white water, I always concentrated on staying in my comfort zone and doing the same thing. Carefully. Because I didn’t trust mine. We agreed to meet next at the little footbridge at the bottom of the car park for the CT centre. When I got there, there was a small group being coached. We said ‘hi’ and I stood in the middle of the bridge to wait for Sam to come down. It was not long before I saw him, following one of the better paddlers he had been exchanging banter with on the café wave earlier. As the kayaker in front of him got closer to the drop, he changed his angle, then powered up and aimed at a semi-submerged rock just above the lip of the drop. He hit the rock, became airborne and flew gracefully over the edge and landed in the pool at the bottom. I then watched in abject horror as Sam aimed for the same rock and paddled as hard as he could. He hit the rock, stopped abruptly, rotated ungracefully over the edge, and landed upside down in the middle of a group being coached. He rolled up and grinned sheepishly at everyone. What information was Sam using? After berating Sam soundly for risking going over the edge of an unknown drop upside down and out of control, we settled on our usual musings over the day’s adventures. The main focus of these reflections was the difference between the information he needed to paddle the river compared to playing canoe polo. The first thing he pointed out was that he was paying attention to the lines that the other paddlers took and trying to see what water features they were using to move around the river. This was particularly evident on the ‘café wave’, when, after failing to get on it, he then made extensive use of the visual information that he was exposed to from the other kayakers. These visual demonstrations were helping to reduce the complexity of the information available to him by refining his visual 'search space'. It was also providing him with information about speed and timing, as well as the ability to link perceptual and tactical information to movement outcomes. Asking for cues from me and questioning the other paddlers had allowed Sam to further reduce the overwhelming amount of information available to him at that time. He was learning to recognize the wave features and affordances. Some of these affordances were shared between different abilities and boat types, others were not. Watching all of the other paddlers with their different boats and levels of success had given Sam the opportunity to experience a hugely rich variety of tactics and their effectiveness. So, what do we mean by the term affordances? This is a concept from general psychology to explain how we individually make sense of the world around us. Particularly in terms of what movement and actions we are offered (afforded) by the environment that we are in. For each of us, these are unique, but many basic ones are shared because we share many experiences. We are also, as a species, attuned to pick up the same perceptual information (more or less). 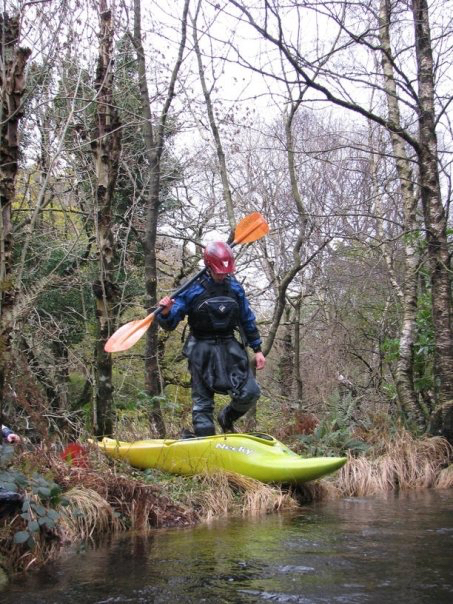 The features that most of the kayakers were using were the same; the easiest and most obvious lines down the river and the most efficient ways get on and off the features they were playing on. That day at CT, the other main focus of our conversations was the wider context in which all of his activity had happened. The way he had been able to play and experiment with confidence due to his reliable roll. But it was not just the roll. Sam had also taken his playfulness and his deeply curious, gregarious, and self-motivated attitude from the way he street-skated with his friends, skied and went climbing. He was being highly autonomous. And he was happy to spend a lot of time in his ‘ugly zone’. Sam thought little about the way in which he practised because it was what he always did. That day, he wanted to talk about the information that he needed to become attuned to on the river. What I found fascinating was that this reflected the descriptions of the information and experiences that elite performers like Aled and JD had described to me in part 1. Sam was becoming skilful through developing his ability to perceive the river and understand how he could use and interact with the features he was becoming attuned to. Darren Joy paddling with great skill in the Grand Canyon. Photo by Glyn Brackenbury. I would like to thank all of the people who helped in the writing of this article. There are so many people I spend time talking to and discussing ideas, both within academia and practitioners in the field. The conversations, the research, edits, re-edits and proofreads are all such an important part of the process. I would particularly like to thank Greg Spencer and Sam Davies for their input and encouragement in writing this series. A big thank you also needs to go to everyone who provided me with fabulous photos. If you enjoyed this you will be able to find all my other ConnectedCoaches blogs here, including Developing Skill Part 1. Being Skilful. You can find out more about me by visiting my profile. I hear I forget; I see I remember; I do I understand! !